The B-22™ is designed to fit the standard 22 oz (650mL) beer bottle commonly used by microbreweries. Bomber Jacket reduces the rate your drink warms up in the sun by 50%, allowing for more refreshing finish. Made of the highest quality neoprene for maximum insulation and protection. All of our products feature signature heavy gauge gold alloy zippers and occasionally our signature patch. Aside from our original B-22 model, we currently offer 6 additional models to accommodate for various cans and bottles. Established in 2015 by Alexander Nicolazzi of St. Louis MO, Bomber Jacket came into existence while sharing a Volume 3 from 4 Hands Brewing with his brother. After realizing 650 mL, and even 750mL drinks tend to warm to a undesired temperature before being totally consumed, Nicolazzi pondered for a solution. His first thought was to use a bucket of ice like you would for keeping champagne cold, thats until the words Bomber Jacket slipped out his mouth, instantly becoming the solution. Nicolazzi being a craft beer connoisseur, as well as business minded, envisioned a full-fledged lifestyle brand for such a product. Launching his brand Bomber Jacket only months after conceiving the idea, the company is inspired to create premium insulators for all sizes of bottles and cans. All of the insulators are the highest of quality and feature durable alloy zippers. Aside from releasing our own in-house designs, Bomber Jacket strives to collaborate with artist, photographers and microbreweries around the world. We also provide high-quality private label bottle insulators for those looking to expand their brands reach. 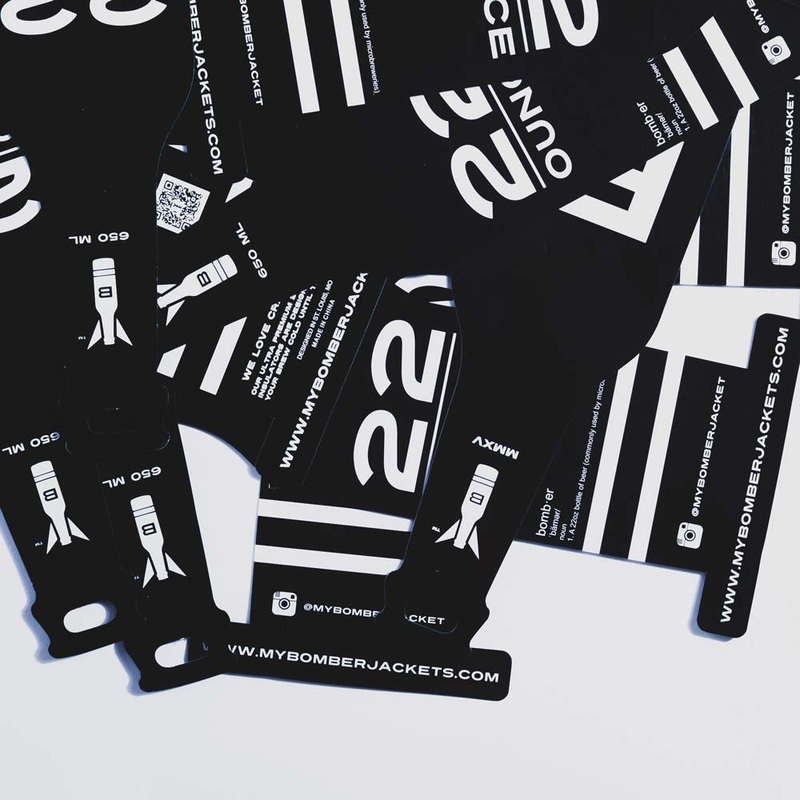 If you're interested in custom premium insulators, please contact info@mybomberjackets.com.